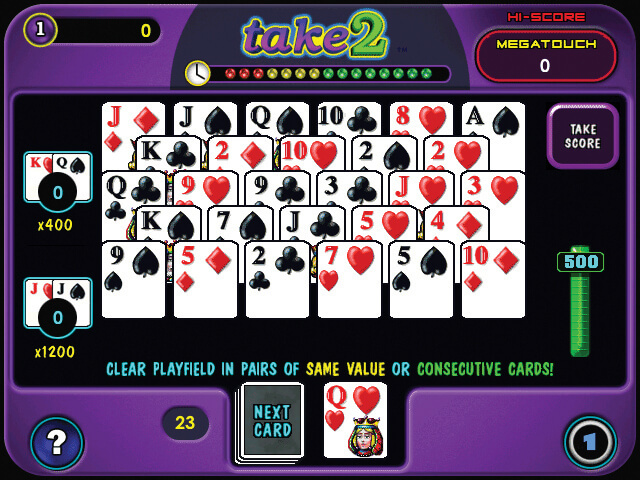 Players must quickly clear all cards from the play-field by selecting 2 open cards of same value or 2 open cards in consecutive order. Use the dealt card from the deck when there are no matches available in the play-field. Touching the card deck adds a card to the play-field and subtracts points.